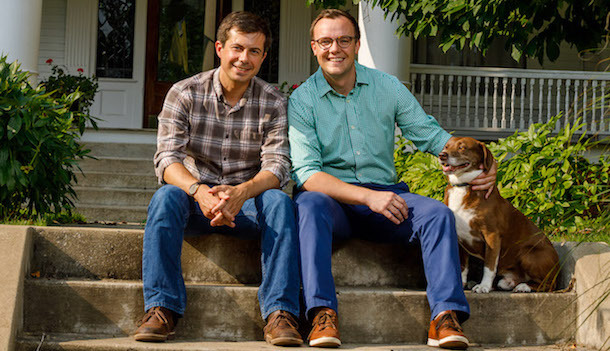 Chasten Buttigieg, husband of presidential hopeful, Pete Buttigieg will make a special appearance at the HRC Houston Gala on Sunday. I read this article and found it very interesting, thought it might be something for you. The article is called Queer Things to Do in Houston This Weekend: April 4-7, 2019 and is located at https://www.outsmartmagazine.com/2019/04/queer-things-to-do-in-houston-this-weekend-april-4-7-2019/. • At 7 p.m., SALES takes the stage at White Oak Music Hall. The duo––openly queer singer, Lauren Morgan, and her band mate Jordan Shih––will perform songs created in their hometown of Orlando, Florida. More info here. • At 10 p.m., visit Guava Lamp for Smoke Break, an alternative drag show. This week’s Smoke Break is Charli XCX themed and features performances by Beck, Barbara Coa, Luna of the Lilies, Belial, Kumquat, and Urethra Burns. More info here. • Also at 10 p.m., two parties, ANR Productions and DJ Tim Bae, come together to create Khaotic Thursdays at Rich’s Houston. More info here. • At 6 p.m., join the Lone Star Veterans Association’s LGBT Affinity Group for a karaoke social at Guava Lamp. Don’t miss OutSmart’s recent story on LSVA’s partnership with the Montrose Center.. More info here. • At 7:30 p.m., Margaret Atwood, author of The Handmaid’s Tale, visits Jones Hall for the Performing Arts. Atwood will speak on a wide range of literary issues, including social activism, political engagement, the creative process, and more. More info here. • At 8 p.m., go to Tony’s Corner Pocket and meet the contestants and judges of the 2019 Ms & Mr Houston Leather & Bayou City Boot Black. More info here. Participants of the 2018 Gay 10k (Facebook). • At 7:30 a.m., run and raise funds for Houston’s LGBTQ community at The Gay 10k beginning at MacGregor Park. The run benefits queer Houston nonprofits. More info here. • At 9 a.m., join Montrose Grace Place for a community spring sidewalk shop. Proceeds from clothing, household items, furniture, jewelry, books, and more sold benefit LGBTQ homeless youth. More info here. • At 5 p.m., Human Rights Campaign Houston will host its 22nd annual gala, Indivisible, at the Marriott Marquis. Special guests include Chasten Buttegieg, husband of presidential hopeful Pete Buttigieg, Scandal star Guillermo Diaz, and performer Shea Diamond. Don’t miss OutSmart’s recent story on Julie Mabry, who will receive the HRC Community Equality Award. More info here. • At 6 p.m., the Lone Star Volleyball Association (LSVA) presents Miss LSVA 2019, a pageant, at Neon Boots Dancehall and Saloon. LSVA members will dress in drag and raise funds for LGBTQ Houston organizations. More info here. • At 7 p.m., go to Resurrection Metropolitan Community Church for Bayou City Bootblack, a Houston leather contest. See who wins Ms & Mr Houston Leather 2019 while enjoying drinks, entertainment, and more. More info here. Dexter Williams and Keith Clark. • At 11 a.m., the Houston Democratic Socialists of America host a Fully-Automated Luxury Queer Clothing Swap at Solidarity Houston. Trade in your gently-worn clothing, accessories, and home goods for some once owned by another attendee. Remaining items will be donated to the Organizacion Latina de Trans en Texas. More info here. • At 3 p.m., gay Houston couple Keith Clark and Dexter Williams present Life is a Picnick, a day party, at Belvedere Park. More info here. • At 4 p.m., join Krewe de Queens on a six day cruise Hosted by Gay Galveston Cruises, the LGBTQ group will visit Costa Maya, Belise, and Conzumel. More info here.